Kinkakuji, Rokuonji, Kyoto. 1397C.E., reconstructed 1964. 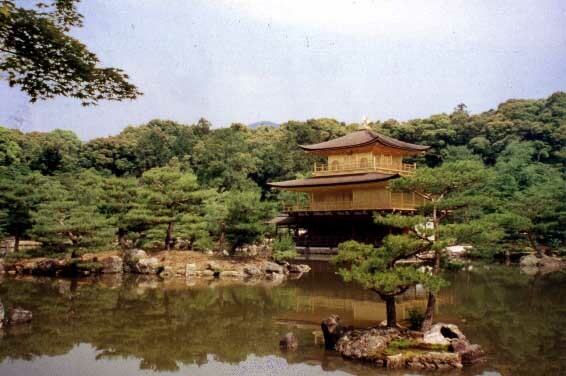 Gold pavillion, magnificent, grandfather, gold, pond, trees, Kyoto. Descriptions, dates, counter for floors.